Peach tree disease is a broad term used to describe problems affecting the tree itself and the fruit. Prevent many peach tree diseases by careful selection of cultivars, good gardening practices, and a maintenance schedule. One of the most serious and common diseases affecting all portions of peach trees, brown rot causes the fruit to rot away on the tree and one can lose and entire year's harvest. Brown rot is caused by a fungus, Monilinia fructicola. The fungus lives in many temperature climates among other trees, leaves and more. It spreads by spores through the wind and loves moist climates, so you may notice this disease after a wet spring or a rainy season. The problem rears its ugly head during flowering, with the infected flowers wilting and browning rapidly. The flowers then infect the shoots, with gooey cankers appearing that eventually infect the green, immature fruits. 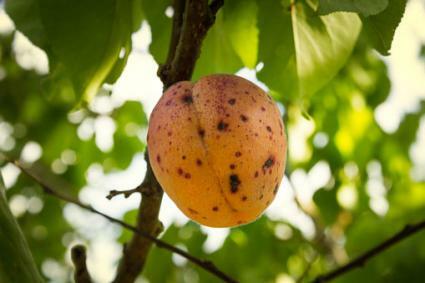 Instead of falling, peaches remain on the tree developing brown spots that eventually cause the entire fruit to rot and turn into mummies, which continue infecting other portions of the tree. To prevent brown rot, always clean up rotted fruits from the ground and remove affected fruit from the tree. Don't compost them, since the fungus spores can live in compost, and if you spread the compost in the garden, you'll only perpetuate the disease cycle. Use a fungicide such as Captan and spray the tree when it blooms, repeating two weeks later. If you're planning a new peach orchard, make sure to plant the trees far enough apart to allow good air circulation and sunlight, which can reduce the spread of the fungus and keep the area dry, which prevents spores from developing. Like brown rot, peach scab is caused by a fungus, Cladosporium carpophilu and is most noticeable after the first season of fruiting. It's prevalent in the warm, moist, humid south but it can affect trees anywhere. The fungal spores overwinter in the soil or on infected twigs and splash upon the tree during rainy conditions. This fungus causes brown spots on the fruit resembling freckles and if severe, the spots join together forming large lesions, as well as lesions on twigs and leaves. Sometimes the fruit will crack, and rot may appear in the cracks. While scab won't affect the taste, they make it harder for the peach skins to slip off during the canning process, so if you plan to preserve the harvest avoid any fruits spotted with scab. To prevent scab, spray the entire tree just as the petals begin to fall with the fungicide Captan and repeat every two weeks until the fruit is about a month away from harvesting. It's important to treat the tree with the fungicide during its first two years of developing fruit. Pruning to allow proper circulation of air, not planting in low-lying areas where water develops, cleaning up fallen fruit and leaves from the orchard, and a rigorous regimen of spraying during flowering helps prevent this disease. Caused by a fungus called Sphaerotheca pannosa, powdery mildew affects garden plants as well as fruit trees and peaches are most susceptible when roses are planted nearby. The fungal spores overwinter in the dormant buds and are spread by the wind and are most noticeable during warm and wet springs. Affected leaves may fall off or they may develop abnormally. You can see white fuzzy spots growing on the green, immature fruit, but the symptoms of the fungus usually go away as the fruit reaches its ripening stage, though the infected area browns, and the skin turns leathery. 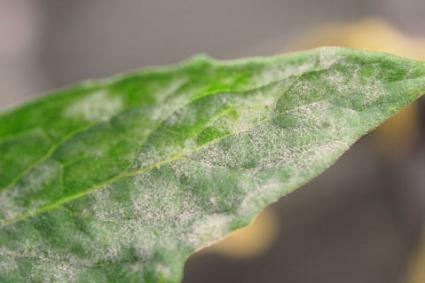 While not a major problem for most home gardens if powdery mildew strikes it can ruin the entire harvest. Most peach cultivars are bred to resist the disease. To prevent powdery mildew, keep the orchard area clean by raking up fallen leaves and fruit and prune to open up the tree and allow adequate air circulation. Before bud break, spray the tree with a myclobutanil fungicide. The disease leaf curl, caused by the fungus Taphrina deformans is most prevalent when conditions are wet and cool in spring and when leaves are just starting to bud out. The fungus overwinters in the soil and on foliage and spreads when water splashes onto the tree. Infected foliage changes from green to reddish, and then puckers and curls. The affected leaves eventually turn brown and either fall or remain attached to the branches. Unless conditions remain wet, a second set of normal and unaffected leaves replace the infected ones. Leaf drop can affect the proper growth of the tree and the production of fruit. The fungus also infects young shoots, causing stunting and distorted growth, with the shoots eventually dying. The infection rarely affects the fruit, but when it does, the affected areas turn corky and split. If left untreated, leaf curl can eventually make the peach tree so unhealthy you'll have no choice but to remove it and discard. Prevention is as easy as spraying the tree while it's still dormant with a copper fungicide and repeating the treatment before the flower buds break open, if springtime conditions are wet and cold. Cultivars such as 'Frost,' 'Muir,' and 'Redhaven' are relatively resistant to peach leaf curl. Fungi in the family Phytophthora cause crown and root rot in peach trees. Trees infected with the disease will slowly go into decline and it may take several years for the tree to die. The disease affects all portions of the tree with stunted growth, dieback of branches and new shoots, stunted leaves and fruits. The fungi can live for years in the soil and thrive in wet conditions where it infects the peach tree, usually through wounds in the wet bark. There is no cure for the peach tree once infected. Prevention consists of making sure to plant the tree in an area that doesn't retain water and drains well. If the area has a tendency to retain water and there's no other place in the landscape to plant, create a mound that is several feet high to lift the peach tree out of the wet conditions. Keeping an area around the tree free of unwanted vegetative growth, cuts down on possible injury to the bark by lawn equipment bumping into it. Several bacterial diseases affect peach trees and, depending on the bacterium and severity of the infections, the tree can eventually die. Peach trees suffering from bacterial leaf spot are infected with the bacterium Zanthomonas campestris pv. pruni and the bacterium affect all portions of the tree. The disease begins its infection during late winter when conditions are wet, warm, and humid. It overwinters in wounds in the bark and when conditions are windy or dew is heavy, the bacterium becomes transferred to other portions of the tree. Symptoms first show up as tiny, water-soaked areas that are gray in color on the underside of leaves. As the disease progresses, the spotted areas become angular and change to purplish-black, with the centers then falling out. Foliage then yellows and drops from the tree, causing severe defoliation. Infected twigs develop cankers and die. Fruit infected with the bacterium develops spotting and pits, which eventually ooze and turn black. 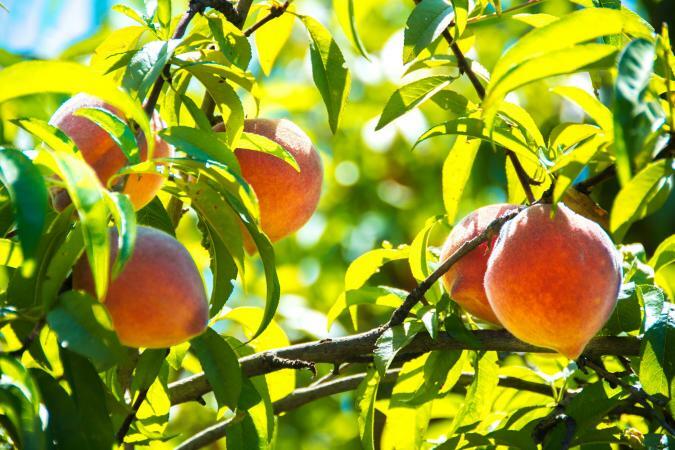 The best course of prevention is to maintain a healthy peach tree by planting in the proper location, regular fertilization, pruning to allow adequate circulation of air, and not wounding the tree with lawn equipment. There are peach cultivars resistant to the disease such as 'Elberta,' 'Jersey Queen,' 'Sunhaven,' and 'Belle of Georgia.' Spraying trees annually while in the dormant stage with a copper or captan fungicide also helps in preventing the disease. Also called plant canker, the soil-born bacterium Agrobacterium tumefaciens causes the problem in peach trees and can live in the soil for years. The galls show on the tree as tumor-like, woody growths that are typically soft and spongy, but as they age, become hardy and crack. The galls are usually attached to the main stem of the tree and close to the ground. Sometimes they attach to the root system. The bacteria enter the peach tree's root system through wounds. There is no treatment for trees infected with galls. Prevent the problem by purchasing disease-free trees, not wounding the tree or roots when planting or while growing in the planting site, and keeping the tree healthy. Younger peach trees are more susceptible to the problem than older ones. If the tree dies, do not plant another in the same location. Insects transmit several serious diseases to peach trees and the only option is removing and destroying the tree. The bacterium Xylella fastidiosa infect peach trees and causes phony peach disease. Sharpshooter leafhoppers infect the tree with the disease though sometimes wounds during grafting cause infection. It can take almost two years before signs of the problem show on the tree and there isn't a cure. 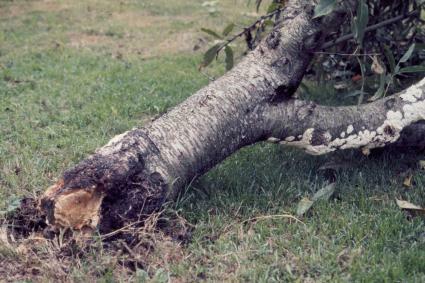 Signs of infection are stunted growth with a flattened canopy, early flowering and fruiting, with smaller fruit and a reduced harvest, and foliage remains attached to the tree later in fall. Infected young peach trees that haven't produced fruit will never bear a crop. The disease doesn't kill the tree outright, but as it progresses, the wood becomes brittle and easily breaks. Don't replant a peach tree in the same location where the disease has been problematic. Prevent the problem by keeping grass and weeds away from the planting site as this is where sharpshooters reside. Remove and destroy all trees infected with the disease. 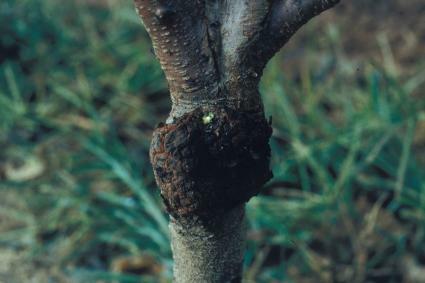 A disease spread by the plum leafhopper and sometimes through improper grafting techniques. Peach yellows is not a common disease in peaches and plums are more susceptible to the problem. Peaches infected with the disease can take up to three years to show any symptoms. 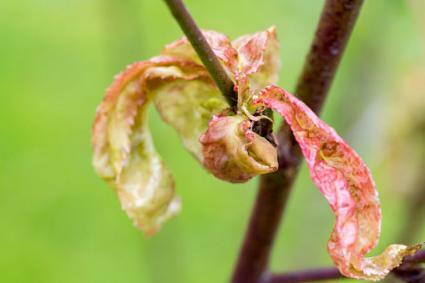 Signs of infection show by the foliage prematurely leafing out, and fruit ripening early. The peaches are bitter to taste and varieties that are red in color are brighter than usual. Eventually, the leaves droop and fold upward. There is no cure for the disease and the option is to remove the peach tree and destroy. Keeping the area free of weed and grass growth might help keep down leafhopper populations. The peach bud mite and poor grafting techniques transmit the viral disease peach mosaic. 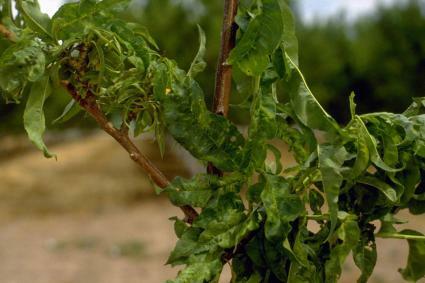 Symptoms of infection include delayed leafing out of the peach tree, small foliage is misshapen, yellow and crinkled in appearance, and inner branches are very short. The mite feeds on developing buds causing them to be misshaped. There is a reduced production of fruit, with what forms being small, covered in bumps and deformed. It's thought the mite is transferred to the peach tree through wind. There is no cure for the disease and gardeners have no choice but to remove and destroy the tree. Japanese beetles are notorious for eating away the leaves and sometimes the fruit. 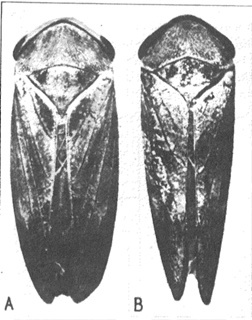 These beetles appear in June or July in most temperate climates and have a brown body a little smaller than a dime with a sort of iridescent green shimmer to the body. 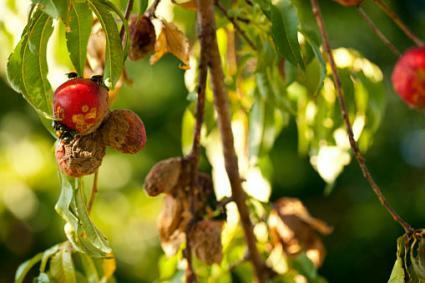 They can weaken peach trees by eating away the leaves, reducing the tree's ability to make food through photosynthesis. Since Japanese beetles attract more beetles, gardeners have several options of control. If you don't want to use an insecticide, handpick the beetles from the peach tree and drop them into a bucket of soapy water. Spraying the entire tree with product containing carbaryl kills the beetle. Repeat the treatment every two weeks. Some horticulturists warn against Japanese beetle traps and claim the pheromones, or chemical smells from the traps, actually attract more beetles than would normally visit the orchard. Hanging traps far away from the orchard to draw insects away may help keep them away from trees and avoid the attraction problem. Keeping your peach trees healthy starts with making sure you meet all their requirements for proper growth. If you suspect the tree is showing signs of a problem, early diagnosis and treatment is always best. Keep the tree healthy through proper fertilization, pruning, and proper spacing to allow adequate air circulation, follow a proper spraying regime, and maintain a sanitized growing site for prevention.